Since 1962, the Endless Mountains Visitors Bureau has promoted sites like French Azilum in Bradford County among residents of its four-county region and beyond. The origins of the term describing the rolling glacier-carved cliffs and hilltops, deep valleys, and winding water-ways actually go back much farther. A map of Pennsylvania presented to George Washington in the late 1770s depicted the area in which Native Americans still roamed and a menagerie of Europeans were just beginning to settle the Endless Mountains. A recent decision announced by the Bradford County Commissioners suggests a historic split in the regionalism of the area of the state that also includes Sullivan, Susquehanna and Wyoming Counties. Two of three county commissioners have expressed their desire to sever a longtime relationship with the lead tourism agency in the region and go it alone. The decision has drawn fire from various camps, as well as support from various sources. As a result, the regular Thursday morning meeting of the commissioners in Towanda is likely to be noticed by a large number of people. On Feb. 6, the Daily Review newspaper in Towanda, Bradford County, published a story in which Commissioners Doug McLinko and Daryl Miller were quoted as saying that they felt they could better handle the promotion of tourism on their own. The Endless Mountains Visitors Bureau (EMVB), from which they would no longer fund, has handled promotion of the four-county region since 1962. McLinko and Miller leaked the story to Review reporter James Loewenstein on a snowy day when few non-essential businesses were open, including the Endless Mountains Visitors Center and EMVB headquarters situated just west of Tunkhannock. McLinko and Miller have grumbled in the course of their regular public meetings during the past year about the manner in which the County Room Tax fund is distributed and have implied more than once that “changes” in the plan were being discussed. Loewenstein has pressed them for details each time to no avail. In turn, EMVB processes grant applications from nonprofit heritage, tourism, recreational and arts organizations from each county and returns 30 percent of the funds via the respective commissioners in the form of block grants. Bradford County, being the most populated of the four counties, receives the lion’s share of the grants. Most of the remainder is used for brochures and visitors guides printed annually, as well as representation of the region outside the area at trade shows and conventions. The Review story was sharply criticized by online readers for inaccurate and vague information attributed to the commissioners, for whom they also expressed strong distrust to handle the funds. Readers familiar with the accomplishments of the Visitors Bureau were upset that the agency was not adequately represented. EMVB Executive Director Jean Ruhf is not surprised. Her phone began ringing early on the morning of Feb. 6 as leaders of member entities expressed their confusion and disagreement with the commissioners. Loewenstein had left a message at the Visitors Center, but nobody was there to retrieve it until Thursday. Ruhf told EndlessMtnLifestyles.com that there is much that she would have said to the writer had she had the opportunity to speak with him. On Feb. 12, Ruhf attended a Chamber of Commerce luncheon in Troy, where she spoke prior to McLinko and Miller. She was convinced after hearing them tell the Chamber members that chambers are better qualified to determine the use of the Room Tax funds, that the commissioners neither understand how the money can be used, who is qualified to manage it, nor what tourism actually is. In the Review story and at commissioners meetings, McLinko has been heard to say that Bradford County has unfairly taken a black eye in the media and that people outside the area believe that the county is a “wasteland” due to the prevalence of the natural gas industry. Ruhf says that EMVB provides basic information to visitors about both natural gas exploration in the area and wind farms. “We tell them where to look for more information if they want it,” she noted. The theme of the new EMVB brochure in fact is “When nature calls…listen” and encourages guests to create their own adventure in the Endless Mountains. There are no photos of gas rigs, tanker convoys on highways, pipeline clear-cuts across mountain tops, or water impoundments. The commissioners suggested that upwards of $600,000 per year is collected via the room tax and that it is primarily going to pay for the bureau’s staff. According to Ruhf, EMVB’s audited records show that 2012-13 produced the highest Room Tax revenues to date of $409,527. Of that, she noted, $51,468 – or 7.31 percent of the agency’s total budget $703,812 budget – went to management and general expenses. If Bradford County were to somehow find a way to manage its own tourism, Ruhf asked, “Will they be able to guarantee 30 percent of the Room Tax funds to the nonprofit organizations that run the fairs, festivals, and museums in Bradford County?” More importantly, she wondered, who will hold them accountable? The redistribution of 30 percent is not part of the law. “They don;t have to do that. That’s an agreement that we have because we deem it important,” said Ruhf. By law, EMVB must produce an audited report of expenditures to the county commissioners every year. Ruhf challenged the commissioners on their plans to use the funds for “economic development.” According to the legislation that made the Room Tax funds available to the counties, the money is to be used for any of the following: convention promotion, marketing the area served by the agency as a leisure travel/business travel destination, many other kinds of advertisement and marketing, participation in trade shows, and funding projects or programs that are substantially related to tourism within the county. There is nothing stated in the rules, amendments, nor definitions that suggests that Room Tax funds can be used for economic development. Nature, heritage, history and the arts attract tourists, Ruhf asserts, not economic development. The Review story attributed vague remarks to McLinko indicating that he and Miller have contacted state officials, who see nothing wrong with their plan. Ruhf questions how many Bradford County residents will follow a plan that she believes will lead to isolationism and ostracism for the county. She noted also that if EMVB is pressed to promote the Endless Mountains without Bradford County, it will appear that the county was for some reason cast out of the region rather than the other way around. After listening to Miller speak in Troy on Wednesday afternoon, Ruhf was convinced that Bradford County can not do an affective job on it’s own. Ruhf related that she met with McLinko, Miller, and fellow Commissioner Mark Smith last year after news of the initial grumbling reached her. According to Ruhf, she asked if they were leaving EMVB, and McLinko indicated that they were not. She asked a variety of questions in an effort to ascertain the root of the apparent discontent. “What would cause you to do that if you did? Is there something that we are not dong? Is there are project that you would like to see done that you want us to take back to our board?Are you mad that the visitors center is in Wyoming County?” Ruhf said that the commissioners offered no specifics affirmations nor direct answers. Smith, she noted, has supported EMVB all along, and he was the only person with an opposing point of view quoted in the Daily Review article. Miller, on the other hand, is an EMVB board member. According to minutes from board meetings, the commissioners have attended no more than 11 of the past 30 meetings. Miller did not contact Ruhf prior to the Review running the story. They have spoken only briefly since, and the conversation was terse. While the tide may turn in the future, and newly elected Bradford County Commissioners could revert to the original plan, Ruhf laments the time and momentum that would be lost, as well as revenue to Bradford County should the commissioners fail with their plan. “Right now, its part of a branded region,” Ruhf noted, a region that has been known as The Endless Mountains as far back as the 1700s, as depicted on a map of Pennsylvania in George Washington’s library. It is with very mixed emotions that I must tell you that this Thursday at the Bradford County Commissioners meeting at 10 am, the Bradford County Commissioners are going to vote on pulling away from the Endless Mountains Visitors Bureau and go out on their own to market Bradford County. What does this mean? · The brand that has been the Endless Mountains for over 52 years will be broken. · The Endless Mountains will become a three-county region. · The Endless Mountains Visitors Bureau will have a huge cut in our income, Bradford County represents a little less than half of our Room Tax received. This means less money to promote our three remaining counties as the Endless Mountains. 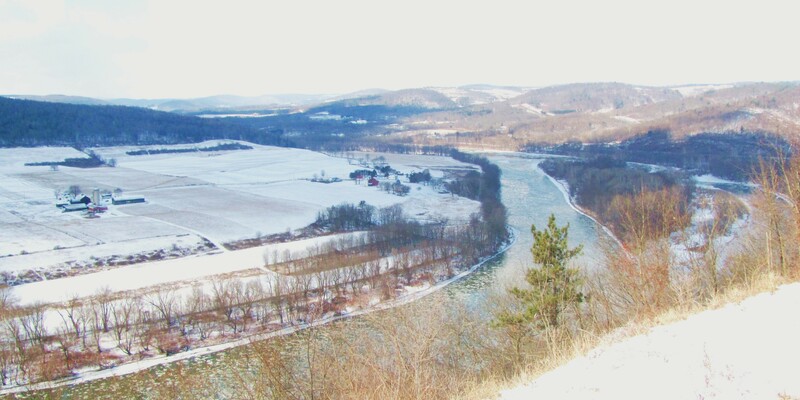 · We will no longer be able to cross-promote visitors to Sullivan, Susquehanna and Wyoming counties from Bradford County and vice versa. · We will have to re-examine how we handle membership outside of our new region. · Member brochure distribution will take a huge hit, instead of distributing your brochures in 4 counties we will only distribute them in 3 and Bradford County businesses will be on their own for distribution. · Events from Bradford County will not be in our events calendar. · Room Tax Grants might go away in Bradford County since this is an agreement we have with each of our counties that is not required by the Legislation, so whomever takes over running the Bradford County Tourism promotion may decide not to continue the program or may do so at a lesser amount. · Now tourism in Bradford County becomes political — so as the commissioners change so can the tourism promotion. What can you do to help – this is not a donedeal…. Once publicly announced it then goes to the municipalities of Bradford County for a vote. They need enough municipalities to vote in favor of the new designated tourism promotion agency that represents 51% of the population of the county. Let your voice be heard – come to the meeting on Thursday, if you would like to say something in support of the Endless Mountains Visitors Bureau you need to get your name on the agenda or they may not let you speak. You need to contact Michele Shedden the Chief Clerk at 570-265-1727 to have your name put on the agenda.